There must be a better way to load bags into a narrow-body plane than eight men doing the backbreaking work and Changi Airport is challenging the industry to come up with ideas. Close to $17 million has been set aside to fund this and another challenge organised by the Civil Aviation Authority of Singapore (CAAS) to boost productivity and efficiency. This is part of a drive to overcome a manpower crunch amid growing traffic numbers, so as to ensure that Changi continues to operate at high standards, said the authority's director (aviation industry) Daniel Ng. It will ultimately boost Singapore's position as a hub for intra-Asian and global air travel, against rivals including airports in Kuala Lumpur and Hong Kong. 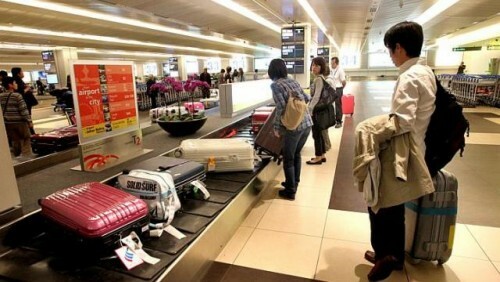 Last year, Changi handled a record 54.1 million passengers, the highest in 33 years, and 341,390 take-offs and landings. Single-aisle planes like the Airbus 320 and Boeing 737 account for more than half of all aircraft movements at the airport, said Mr Ng, explaining the need for more efficient loading and unloading of bags. Up to five proposals will be selected and funded up to $2 million each for the development of working prototypes within 18 months. A second challenge, which ends in March, aims to find ways to automate the consolidating and removing of cargo into larger pallets and containers for transport in aircraft. Apart from these two initiatives, airlines as well as ground-handlers like Sats, and SIA Engineering are also finding ways to improve work processes. Sats' president and chief executive Alex Hungate said last week: "In Singapore and elsewhere in Asia, rising manpower costs have also been a key driver for the push towards greater automation."